Denture implants or implant dentures are far superior to traditional dentures for a number of reasons. Your cosmetic dentists in Brooklyn can supply you with dental implants for dentures or an overdenture with little to no pain or discomfort. 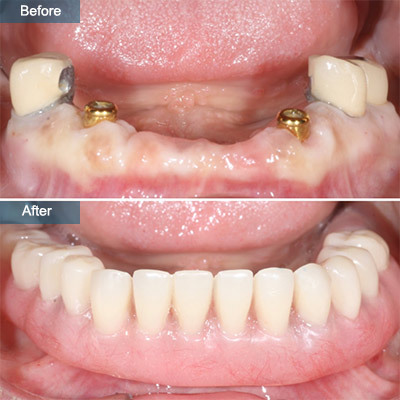 Enhance your appearance and reduce bone loss with an implant overdenture. We use only the best quality medical grade titanium or titanium alloy for dental implants. 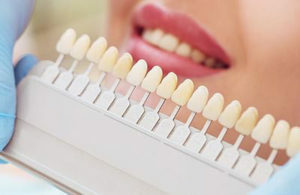 Come to our Brooklyn dental center to receive the most efficient, functional, and highly esthetic results. 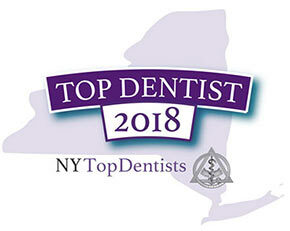 Meet our family, cosmetic dentists in Brooklyn Alex and Igor Khabensky DDS to get the fastest & painless dental treatments in the safe, reassuring hands of the best rated dentists in Brooklyn. When you have experienced tooth loss, especially involving multiple teeth, the impact on your eating and speaking habits can be substantial. Many different options exist to restore your appearance, oral health and ability to eat all of your favorite foods. One of the most common, effective and cost-conscious procedures involves implant dentures. Implant-retained, gum-supported. This implant overdenture rests directly on your gums. It’s retained by titanium anchor implants at either end of the denture. It’s removable for cleaning purposes. Bar-retained, implant-supported. 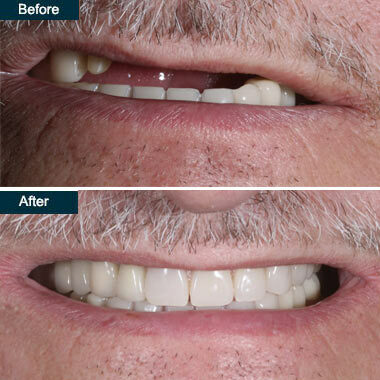 This overdenture is attached to a metal bar that rests between implants placed in your upper and/or lower jaw. If placed in the upper jaw, your Brooklyn dentist may suggest four implants for greater strength and security. 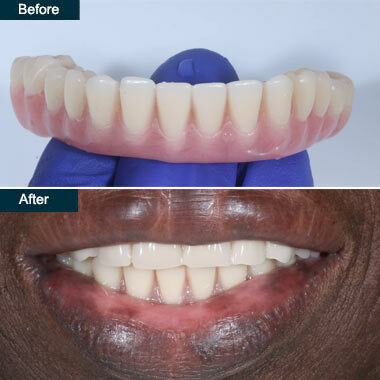 This overdenture is also removable. Fixed, implant-supported. The most natural-looking and natural-feeling of the overdenture options, the denture and bar are one piece. They’re secured using screws placed into your upper and/or lower jaw. 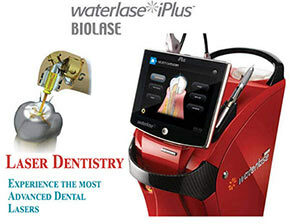 This system is fixed in place and can only be removed by a dental clinician. Care is the same as for natural teeth, including good brushing and flossing habits, as well as regular dental visits. Your best Brooklyn dentist reviews your options during your office consultation. He reviews your dental and general health history. He conducts a thorough dental exam of your bone health, volume and density, as well as the rest of your mouth. At this time, any necessary imaging, such as x-rays is performed. Anyone healthy enough for a tooth extraction is healthy enough for at least a two-implant overdenture. Two-implant overdentures are often recommended for the lower jaw, but because of the different needs and requirements of your upper jaw, four or even six-implant dentures may be recommended for your upper jaw. Bone density and volume, which can be reduced in your upper jaw, may be deciding factors as to the number of implants your Brooklyn family dentist may recommend. Though more implants increases stability and strength, they also involve greater cost. Accurate impressions of the implant abutment sites in your jawbone and dental ridge are mapped to precisely contour the implant overdenture to your gum ridges and borders. This maintains the highest quality of stability and retention. Advances in dental impression tray systems and techniques, some using heat molding, vastly improve how well your customized dental implants for dentures fit. They also ease the denture-making and fitting processes. The implant process takes two-to-four hours, depending on the number of implants required. The fitting of the overdenture occurs in a second office visit, usually within a two-hour window. A two-to-four-implant system reduces the costs and recovery time required over implants for each individual missing tooth. It’s a minimally invasive technique, requiring only local anesthesia and small incisions to place each implant. Loss of your natural teeth roots leads to a condition called resorption, which results in bone loss. Implant dentures slows or halts bone loss by stimulating and stabilizing your jaw bone. The process of resorption from an unhealthy or under-stimulated jawbone decreases the distance between your chin and your nose, causing a shrunken or aged appearance. Halting this process reduces the gaunt appearance bone loss can cause. The increased stability that the implants provide gives you more comfortable dentures. The titanium-anchored implants provide greater strength for chewing and speaking, decreasing possible mouth sores or embarrassing denture movement of traditional free-floating dentures. Dental implants for dentures are fast becoming a cost-effective method for restoring your missing teeth. Restoration not only improves your chewing and speaking abilities, but it also improves your appearance and self-confidence. Additionally, it also halts the negative effects of bone loss caused by the loss of your natural teeth roots. Your Brooklyn general dentist specializes in customizing a treatment plan for your dental health that considers your financial concerns during your treatment process. Do you have any questions about the Denture Implants (Dental Implant Dentures) in Brooklyn? 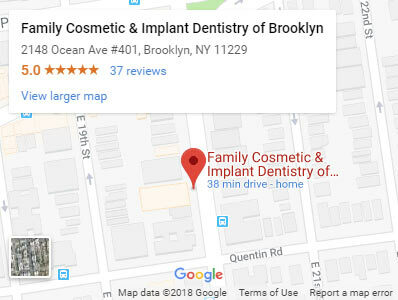 For more information or to schedule an appointment with the best rated dentist for implants Khabensky DDS of Family Cosmetic & Implants Dentistry of Brooklyn? Please contact our dental clinic for consultation with the dentists Alex and Igor Khabensky DDS.